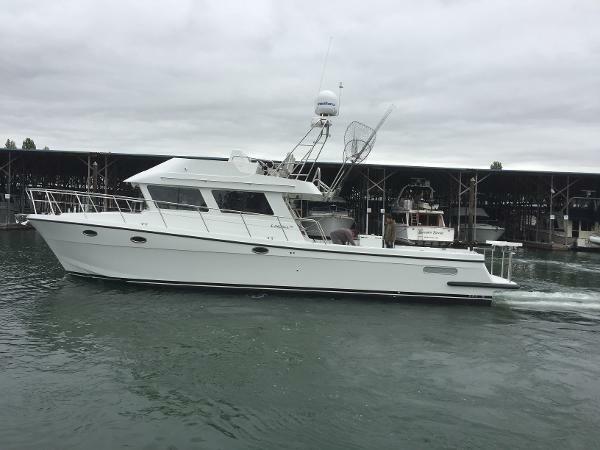 OCEAN SPORT ROAMER 2004 – 30’ Our 2004 30’ Ocean Sports Roamer fishing boat is For Sale. 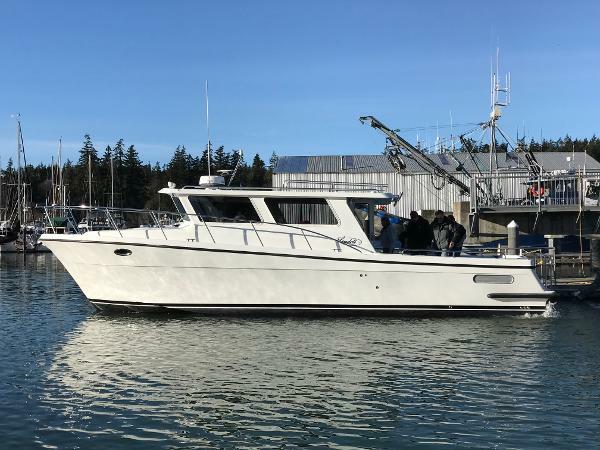 This boat was manufactured in Washington State and built for any ocean conditions. There are not many of these boats here in So Cal. The large pilot house offers unobstructed 360’ views while at the helm. 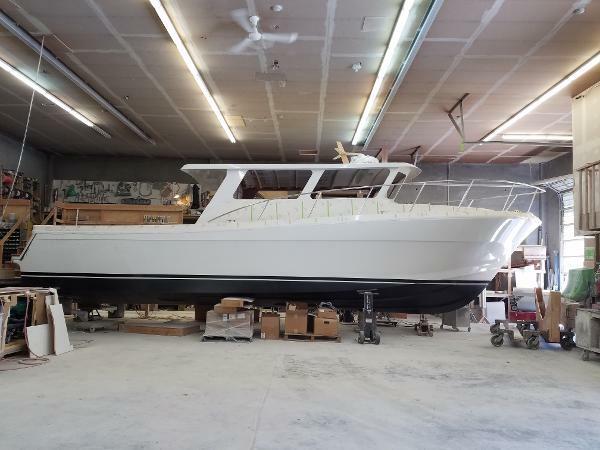 The rear deck is large enough to fish 6 guys comfortably with a 10’9” beam and also includes a full bimini top for the hot days. 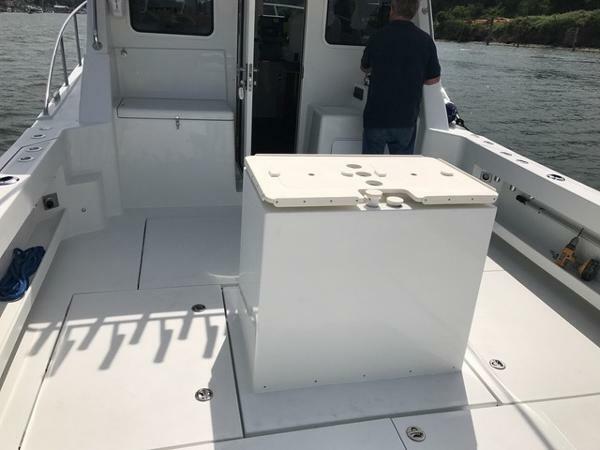 There is a built in 35-gallon bait tank at the transom, built in tackle storage on each side, giant flush storage locker and separate fish hold. 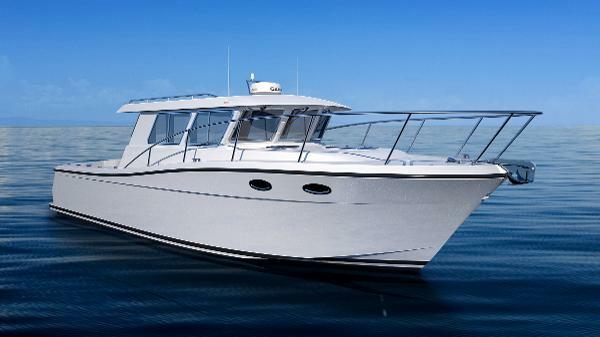 This boat has 620 hp and cruises at 30-35 mph averaging approx. 2 mpg. 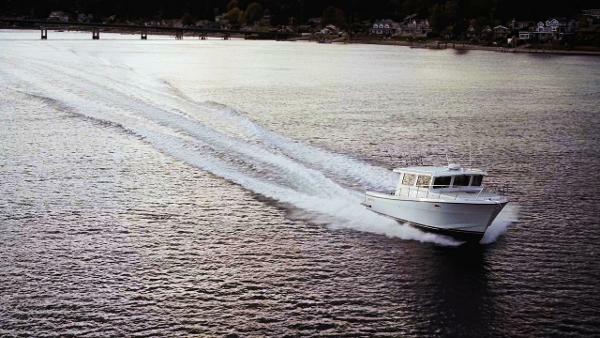 The manufacture states top speed for this boat is more than 50 mph. The 20 degree hull design makes for a smooth, dry, and stable ride. The cabin features tons of storage, sleeping for 6, 5K generator, air conditioning, water maker, full galley, and full head/shower. 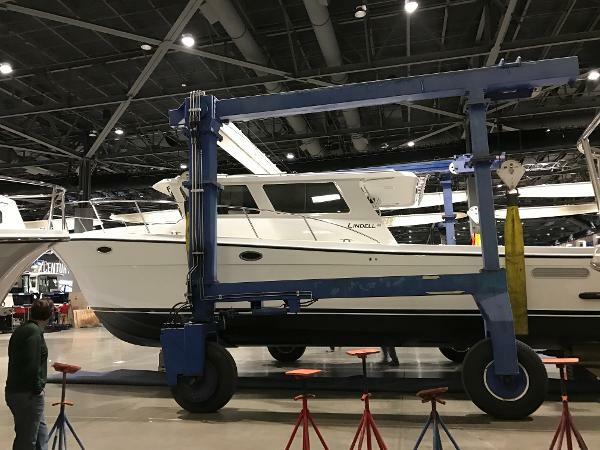 We keep the boat in Dana Point Marina in a slip during the summer months and leave it in dry storage covered on the trailer during the winter months. Fresh bottom paint last year. All the zinc, fuel filters, and water impellers were just replaced for this 2018 season. The motors have been extremely well maintained with no expense spared. The Summer of 2016 both engines had preventative maintenance and service completed at 1300 hrs that included heat exchangers, after coolers, salt water cooling system, fresh water cooling system, hoses, billows, trim lines and power steering lines. Both outdrives have been refreshed with new bushings, billows, steering rams, water pickups, hoses, new shift cables, and completely serviced. This work was completed less than 200 hrs. ago. This boat is ready to go for many years to come. Boat is washed regularly and waxed every season. Please feel free to call me with any questions or to schedule a time to see the boat. It is currently on the trailer ready to go into the water at anytime. Serious inquires only and we do not need help selling it. 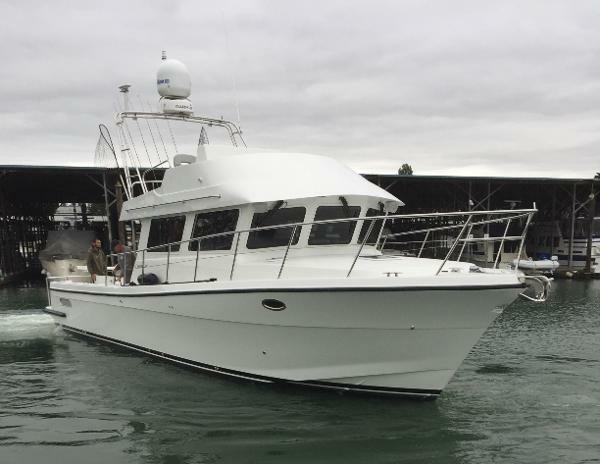 $215,000 OBO Please call 714-493-4100 or 714-493-8718 Engines Twin 310 hp Volvo Penta D-6 310APS diesels with 1490 hrs. Coupled to a DPHA 1.75 duo prop outdrives with bronze propellers including s a spare set of props. Norpro 5 KW generator with a low 164 hrs Tankage (2) 165 gallon main tanks for 330 gallons plus an additional 110 gallon bow tank with transfer pump. 80 gallons of fresh water. 35 gallon gallon holding tank with macerator and dock pump out valves. Electrical and Mechanical Group 31 start battery, group 31 electronics battery, 3 house batteries. Xantex 2000 watt inverter and battery charger. 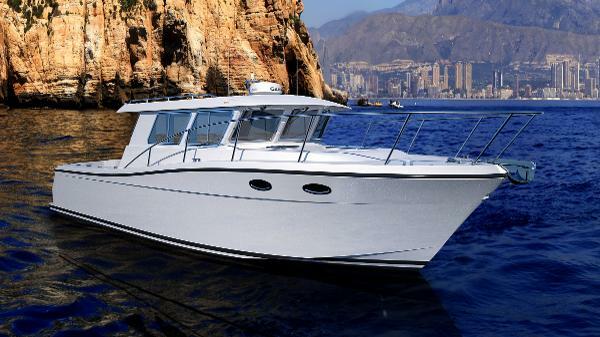 The cabin has (4) 110v power outlets including one in engine room and head. There is a Vacuflush head system, 5 bilge pumps with auto and manual control. Fresh water pump system includes fresh water washes down on back deck along with Salt water wash down on deck, There is a 6-gallon Force hot water heater along with your own Spectra fresh water maker. There is a Thermostat controlled Webasto diesel forced air heater. 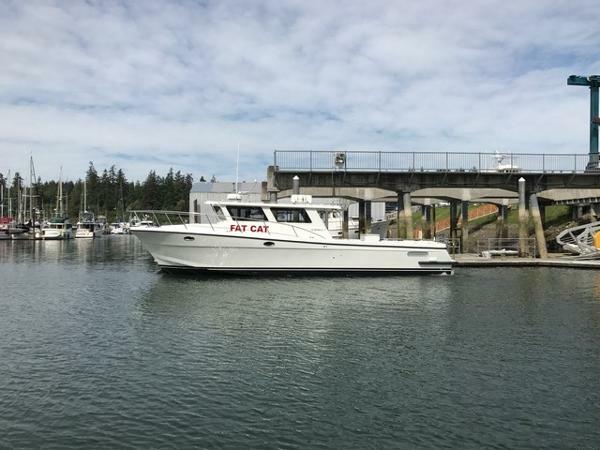 Deck Lights, Rear steering station controls, (3) Windshield wipers, Hydraulic trim tabs. Lewmar Windless Anchor with claw anchor and Cruiseair air conditioning system ducted throughout cabin that works amazingly. Accommodations Front V berth sleeps 2 adults comfortably. Separate private aft berth that sleeps 2 adults comfortably. Dinette seats four and sleeps 2 adult. Full galley with sink, 2 burner propane stove, large refer with freezer, and microwave/convection oven. Cabin has ample storage with beautiful teak and holly cabinetry and Corian countertop. 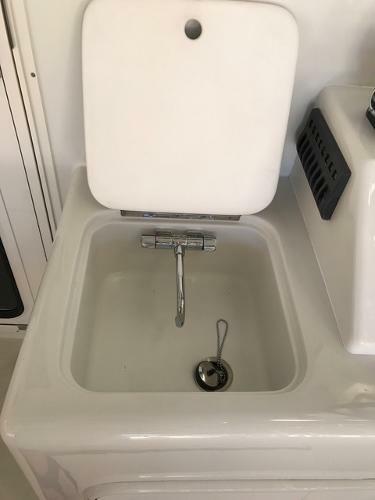 Full stand up head with Vacuflush toilet and shower with built in drain sump. Electronics Raymarine networked system with E-120 at the helm. This system includes 4kw radome and networked sounder module. The system is integrated with the Gladiator main autopilot. Autopilot has wired and wireless remotes. Volvo Penta EVC engine data display that gives real-time fuel burn and trip data. VHF ship to shore radio, Clarion marine stereo system with four speakers and 10 disc CD changer. Trailer Triple axel King salt water trailer, recently rebuilt with new 20k lb brake actuator, new 6-wheel disc brakes, caliper, rotors, pads, break lines, bearings, hubs, and spindles. There is a Spare tire, hub, and spindle mounted to trailer. Also Available is a 2001 Ford F450 dually Lariat Crew cab with 7.3 L Diesel with only 79k miles. This truck is set up perfectly to tow the boat. A new offering from a time honored builder, Jim Lindell. 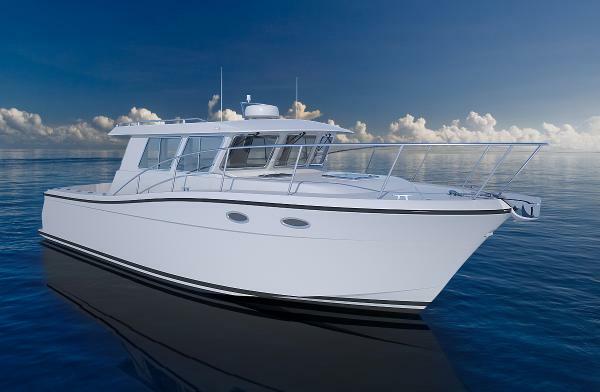 The Navigator 42 IPS is a combination of all the incredible features of the many other Lindell models. She is so fishing capable she could be used commercially, and so luxury rich that she can be used as a fine luxury cruising yacht. Built for the Pacific Northwest but capable anywhere in the world. 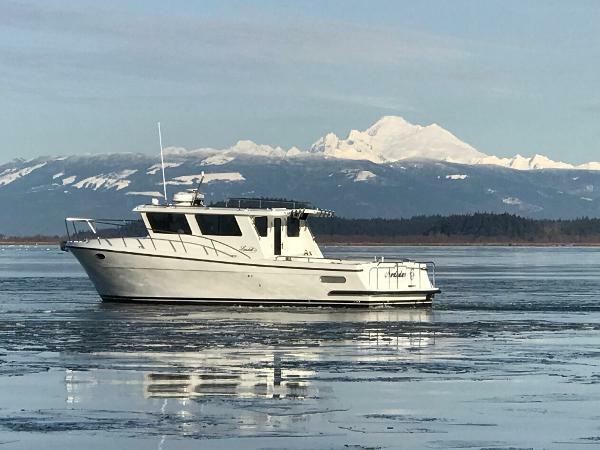 If you are looking for a vessel that fulfills a purpose, a craft that enables you to do more and do it in comfort and safety, the Lindell Navigator 42 IPS might be just the boat for you. 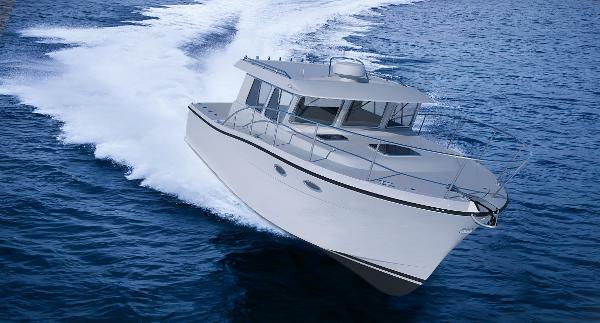 This is hull number 12 A new offering from a time honored builder, Jim Lindell. 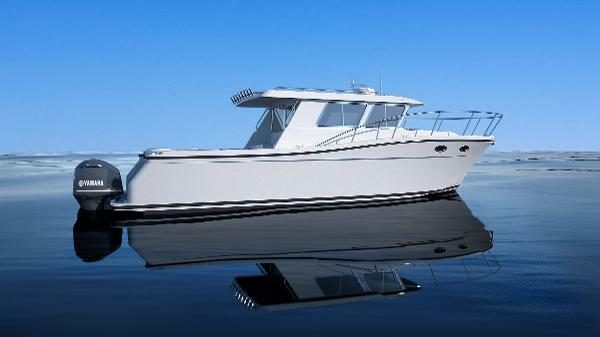 The Navigator 42 IPS is a combination of all the incredible features of the many other Lindell models. She is so fishing capable she could be used commercially, and so luxury rich that she can be used as a fine luxury cruising yacht. Built for the Pacific Northwest but capable anywhere in the world. 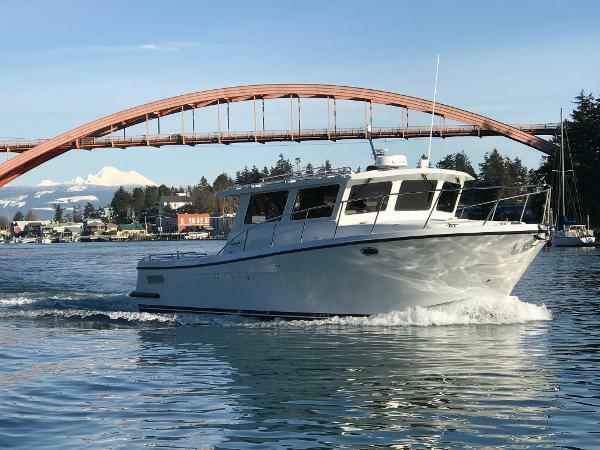 If you are looking for a vessel that fulfills a purpose, a craft that enables you to do more and do it in comfort and safety, the Lindell Navigator 46 IPS might be just the boat for you. Hull number five is available for delivery in summer/fall 2019. Now is the time to customize her exactly like you want her. Sea trials available.